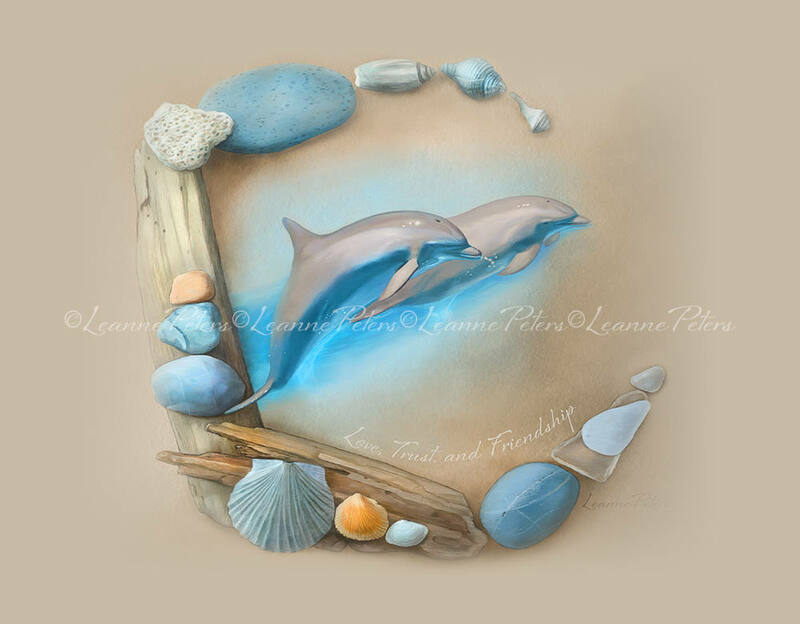 INSTANT DIGITAL DESKTOP WALLPAPER DOWNLOAD of my oil/digital painting is of "Sea Angels" the friendly dolpins. They are surrounded by a pretty collection of shells, driftwood, sacred stones, and sea glass. The jpeg you will receive is sized to fit any desktop and resolution. Beautiful work. Love the textures and the calming colors in this piece. A perfect desktop background, thanks!